I like all types of iron sights, but aperture sights are easiest to shoot accurately. I have a peep on my M14 and one for my M25 Remington’s, watching for one for the m121. Shot small bore 3 position for many years and high power for a while so receiver mounted peeps are well understood. I have a tang on a Low Wall 45colt and not really in love, figured out it gets in the way. I mostly hunt with pre war vintage sporting guns and that means open sights mostly. Now a favorite 22 is a Winchester M69, first year with the receiver peep sight. That rifle is slim and trim and that little peep is awesome! I will try and post a picture, don’t see them often. Seems lots of fine sights got relagated to junk drawers when scopes became mainstream. Scopes have their place, but I think everyone should learn to setup and use metallic sights, both open and aperture styles. With the proper bull and properly setup double apertures, I shoot better groups than with a typical scope. Hunting is different, a scope extends your range and low light, as well as “ helping our “vintage” eyes! I have peeps or tangs on quite a few of my rifles. Have a few guns I wish I could fit with them. I like shooting iron sights but my eyes just can't focus normal rear sights very well anymore. Aperture sights solve the problem. Just got Lyman 57WJS mounted on a Remington 721 I picked up a few weeks ago. I have at least a dozen rifles with aperture sights and a bunch of Mosin Nagants I wish I could mount some more on..
Ithaca (Tikka) .243 set up with Lyman sight just for fun. I was in a rimfire rifle league, but I could never compete with the other open site shooters, so I upgraded to a Ruger 77/22 that had some action work but still have factory barrel, with a Leupold Vari-X-III with mildot reticle to shoot in the scoped hunter class. Yes, I loved it. I was in that League in late 90's and early 2000s. While you can pay more money for better guns, this was the cat's meow for hunter class with the 10 rd rotory mag. I swapped out the sear/spring myself (Volquartsen) and polished mating parts. It helped me take first in the hunter class at many events. When I quit league shooting, I sold it...and still regret that sale. ALSO...just a heads up, some of them have an issue with accuracy due to the two piece bolt...mine must have been mated correctly at the factory. I've read that a poorly mated bolt can be corrected by a good gunsmith. I shoot OK with open sights, much better with aperture sights, and best with a relatively high powered scope ... (thanks to hazy 66 year old eyes), but have always enjoyed shooting vintage rifles with aperture sights. Absolutely beautiful set up Al. 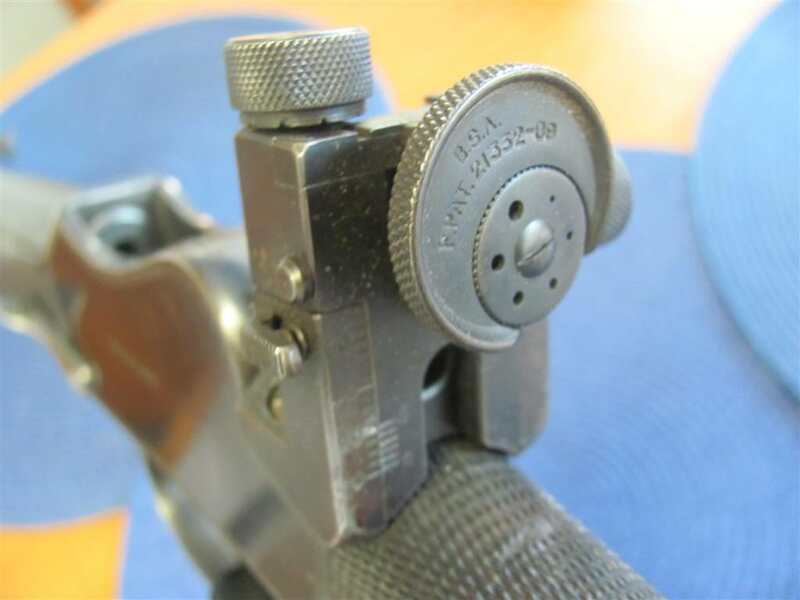 Many of my old-timer single shots have the original tang-mounted peep sights. As long as I have time, I can shoot them pretty nearly as well as with a period scope, even with 70-year-old eyes. Quick target acquisition is difficult to impossible, though. When I could still hunt, I sometimes used a Savage 99 with a "ghost ring" sight on it . 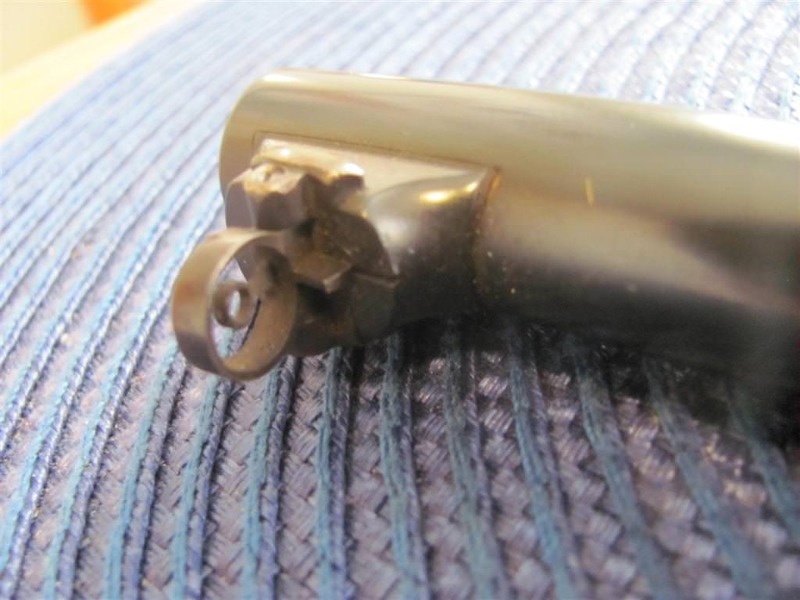 A Lyman peep with the eyecup removed. For 50 yards or better I have had to use a peep or scope for some time now. Not far from legally bling in one eye without contacts. My Rossi 92 has a tang peep that was tough to use at first, but adding a fiber optic front sight made a huge difference. 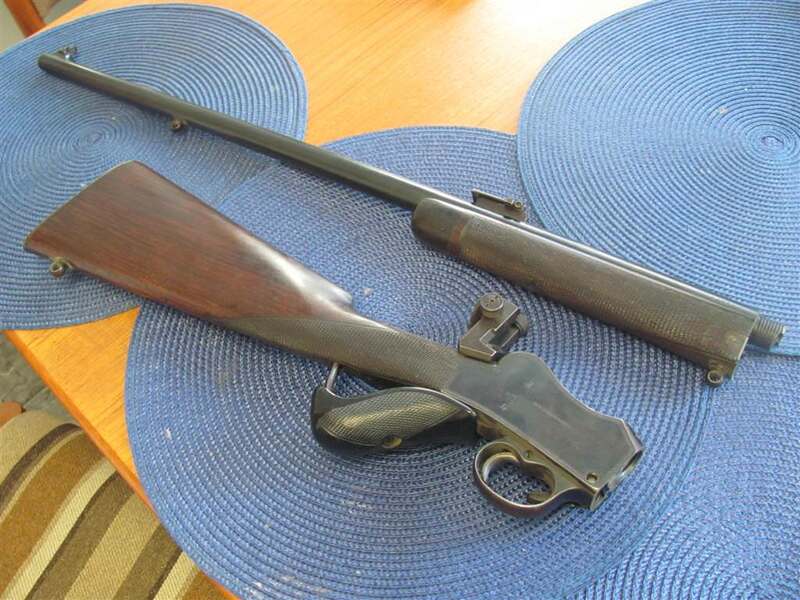 I have recently acquired a TC Hawken that has a tang peep mounted and I am thinking the long sight radius will help me a lot. If I can shoot the thing in an 8 inch circle at 100 yards I figure I should be good for elk with conicals. 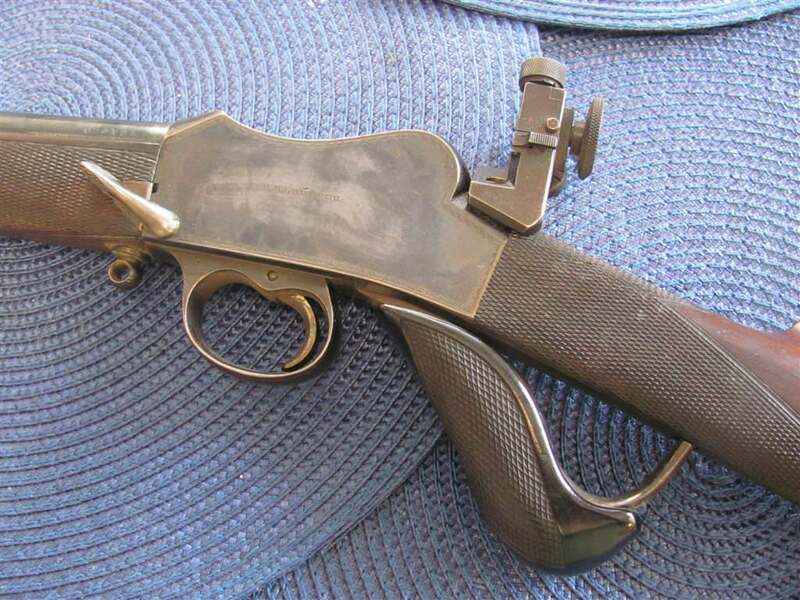 I prefer peeps on my Lever actions. My hunting rifles have Skinner Sights. My 38-55 sees more use as a target rifle so has a Williams receiver sight with the target knobs and my 1873 has a Marbles Tang. I also like to change out the front sight to a Skinner patridge style blade wherever i can. I find i can shoot better with the blade than i can with a bead. My 38-55 and the 1873 both have the Lyman 17A globe front sight with interchangeable inserts. On paper targets i like to use the appropriately sized round ring insert and i can hold under MOA using those sights. I also have a T/C Encore and 2 Lee Enfields with peep sights. I'm not adverse to scopes but the 5 scoped rifles i own all have Leupold VX-II 4x33's mounted. I like compact, low mounted fixed power optics. I've looked at a couple of those Skinner sights. They are nice. Love peeps, especially on older rifles. Btw, you wouldn’t be the miner John that makes tdi metal detector coils would ya? You make me want to be young again. To me peep sights are the greatest invention since the barrel. 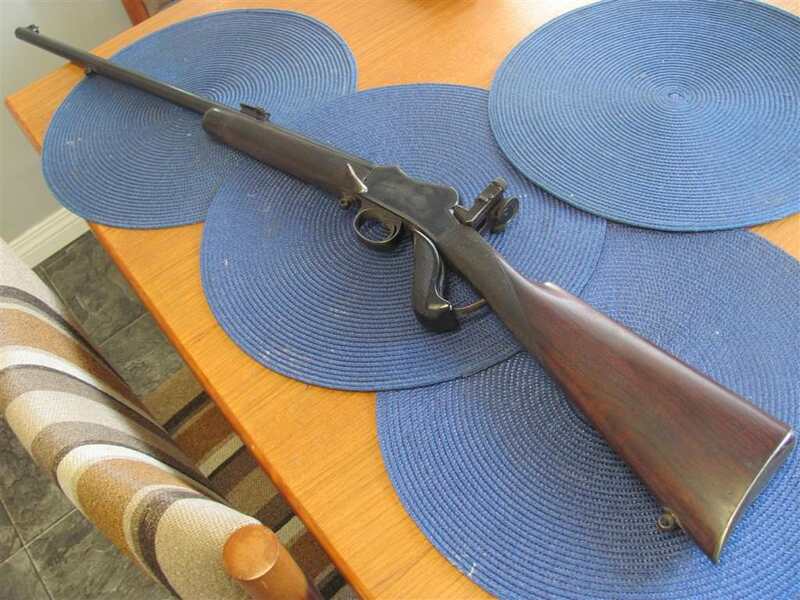 When I was 12 yrs old I got me a M1917 30-06 with the peep sight. With no instruction and no internet in those days, I sought out someone who knew how to use one. Quick simple instruction..."Put the top of the front sight in the middle of the ring..." That was all it took. Man I could SHOOT with that thing. The next year at the age of 13 hunting (unsupervised) with my buddy of the same age. Saw a deer skylining at what looked to be about 350 yards. I did a quick calculation in my head on the bullet drop and aimed at a point above the deer. My buddy already shot 3 times and missed. It was far enough away that the deer just stood there and wondered what was going on. I took one shot and the deer was gone. Must have hit it. Paced off the walk up there. 365 yards...there the deer was laying. To me, If your eyes are good, a peep sight is darn near as good as a low powered scope. I only wish I could see now. There is no way I can focus on one anymore. sigh It is all scopes for me now. Thanks! It's a W.W. Greener .22 LR Martini take-down. The baby Martini action rifles are still one of my favorite single shot actions. Now your talking a subject near and dear to my heart. I use Redfield International Peep sights on my .22 caliber Winchester 52D Heavy Barrel target rifle. Circa 1965. The only addition I use to this sight is a Redfield "X Tube", which attaches to the sight and looks like a scope, but in reality is a hollow tube that is adjustable to allow you to see only the outline of the front sights outer edge. It eliminates all the side light from your line of vision when aiming. Giving the user basically tunnel vision to the target. At every competition I've ever entered, I have always had to allow the officials to look through to make sure in wasn't a scope. A great tool and I've often wondered why more shooters don't use one. Especially Biathalon competitors. Other than that I use a flip up Tang Sight on my 1873 Winchester 32-20. I'm a purist I guess and you can consider other users of peep sights the same, in my opinion. Using this type of sight develop skills and refine skills. That's what I try to teach when I coach young shooters. Then move on to the "high tech" sighting systems and see your skills soar.